Many newbie WordPress Developers & Entrepreneurs struggle with SEO. When you read a normal SEO blog, you are overwhelmed with the information. Here is a full proof guide for Basic WordPress SEO. To define these: All the forms of link building is considered as Off-Site SEO. Other than Link building everything falls under On-Site SEO. On-Site SEO is often ignored, as there are no clear instructions, everybody thinks he is doing it right. What I am going to share with you is what I have found working for me. For instance, consider keyword density. No one can give you a thumb rule of how much should be keyword density. You have to test it. Different industries, different density. Just after you install your WordPress website, the first thing you should do is change the permalinks to “Post Name”. From Yoast to Neil Patel, everyone has found this permalink structure to be the best practice for SEO. Why? Because a link like Plain (http://localhost/a/?p=123) & Numeric (http://localhost/a/archives/123) does not make any sense in SERP results. Why would a random visitor on a random google search result want to click this link? I hope it is clear. But, what about other permalink structures? Other permalink structures like Day and name (http://localhost/a/2016/06/19/sample-post/) & Month and name (http://localhost/a/2016/06/sample-post/) might sound good. 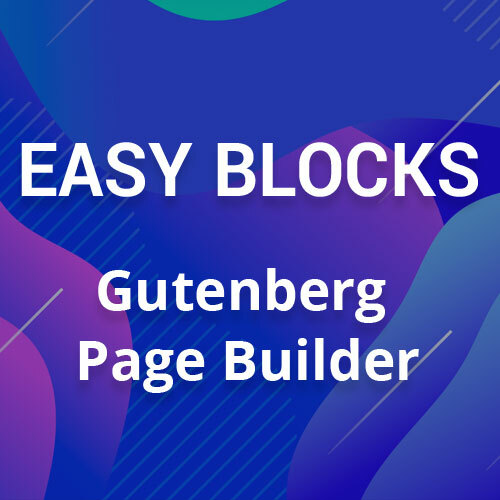 Let’s say your post is about “Basic SEO for WordPress Website Developers”, then it will end up becoming http://localhost/a/2016/06/19/basic-seo-for-wordpress-website-developers/ which is too long for Google to show in its SERPs. It will end up being cut in SERP results, we don’t want to end up there. That’s why the best permalink structure is “Post name”. Now permalinks are all set. Go to plugin installer and install WordPress SEO Plugin by Yoast. Keep the default settings as it is. When you will write your blog posts, the Yoast SEO plugin will analyze your page and give you tips. It will be very helpful for you to learn some On Page SEO. There is no use in creating a website if search robots can’t find it. You need to make your website searchable. Since you are using Yoast SEO Plugin, it comes with its own sitemap feature. Just go to Google Webmaster tools and create an account. Verify your website and submit the sitemap to Google. Within 24 hours Google will list your website in its search engine. When you will add new blog posts and pages, the sitemap will get updated. Google will check out the sitemap regularly and index new pages on its own. If you want to do this job manually, Google Webmaster tool has “Fetch as Google” tool. Use that. It is nothing but a file which is created for Google robots. You just write what Google is allowed to index and what it is not. Download this Robots.txt file. Don’t forget to chagne your Website Sitemap URL with this dummy Site URL in the robot.txt file. So, by far you have done 3 tasks after installing WordPress. Time to move on! 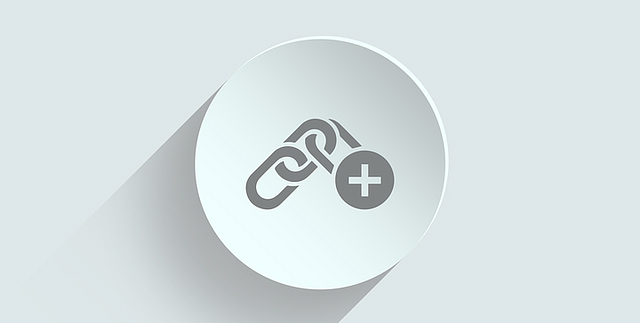 Your site is new now, so the links you use in your blog posts will be working. But what if a website gets suddenly closed, but you still linked to it? No one has time to test all the links of his site all the time. Here is where this time-saving plugin comes. Install Broken Link Checker plugin and it will keep testing all the links (including comment links) every 24 hours (depending on your plugin settings). As soon as some link goes dead, it will email you the details. It will also help you find another alternate working links. 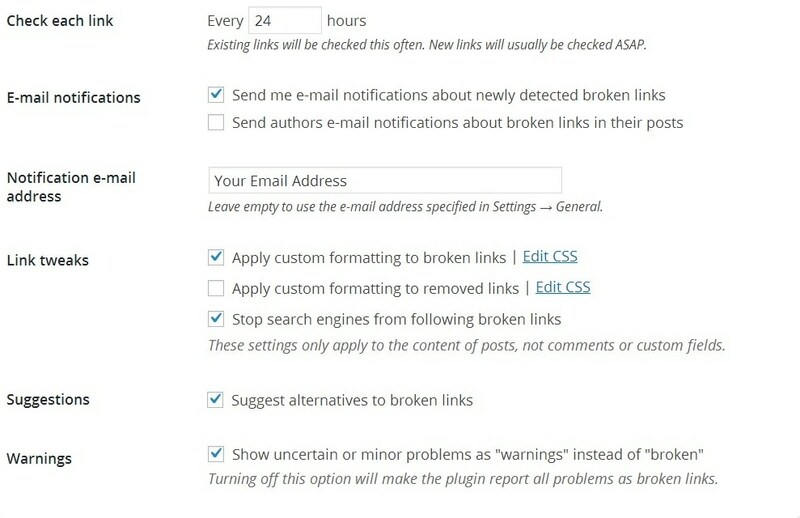 You can also change CSS for broken links (use the settings shown in the pic), and No-Follow Google. Very helpful!